In this article we look at five key designs by Welch. 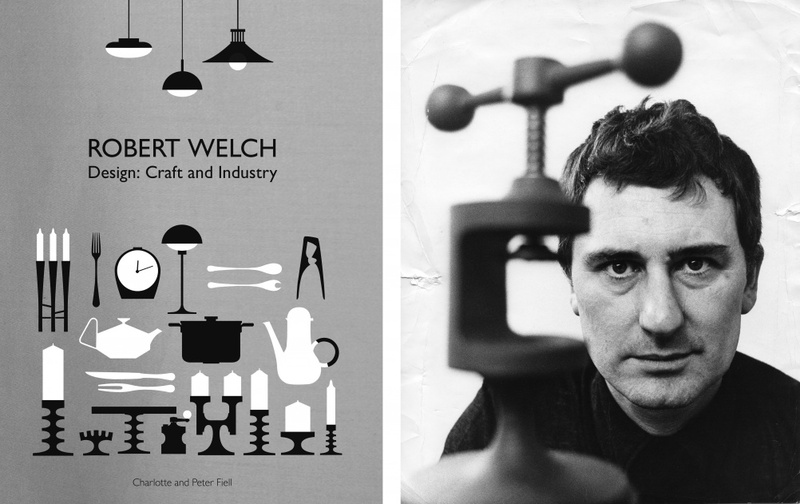 A new Laurence King book looks at the life and designs of Robert Welch, who died in 2000. The book is written by Charlotte and Peter Fiell and features a foreword by Welch’s children Alice and Rupert Welch, who now run the company he set up – Robert Welch Designs. Welch was born in 1929 and studied at Malvern College of Art, Birmingham School of Art and the Royal College of Art. He created tableware, silver products and industrial designs including clocks and British Railways lavatories. His designs are in the collections of museums including the Victoria & Albert Museum, the British Museum and the Museum of Modern Art in New York. We look at five of Welch’s key projects, with descriptions written by the Fiells. 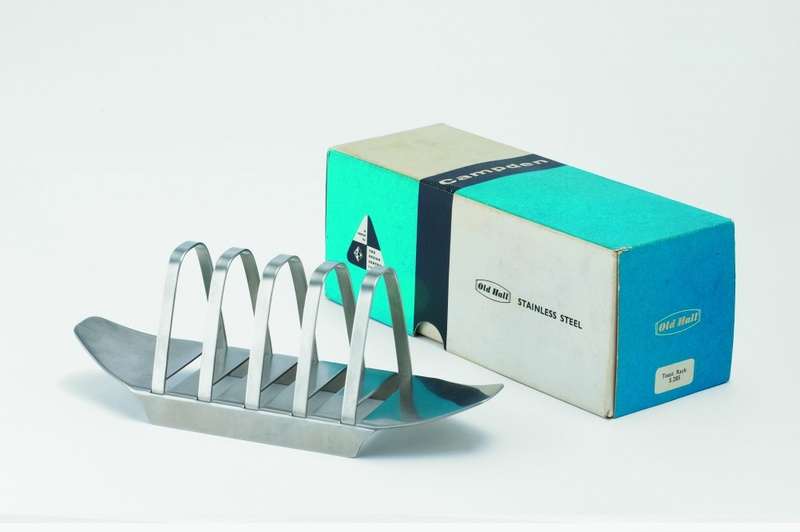 Arguably one of Robert Welch’s best-loved stainless-steel wares, the Campden four-slice toast rack was also one of his earliest designs to be put into mass production under the Olde Hall (later Old Hall) brand. Various scribbled preliminary sketches of this product reveal that Robert took quite a while to formulate the final design, the form of which was entirely inspired by a careful study of function – from its five rounded arch-like elements that allow the slices of toast to be inserted and extracted easily, to the integrated and ergonomically shaped handles at either end that facilitate carrying. While this classic toast rack was part of the larger Campden range of tableware (designed the same year), it also found commercial success as a standalone product, such was the strength of its design in terms of form, function and affordability. As a tribute to its innovative design, it received a Design of the Year award from the CoID (Council of Industrial Design) in 1957, which was presented to Robert by H.R.H. The Duke of Edinburgh. This was the first of many major awards that Robert would receive during his long and prolific career. The following year the toast rack was included in the council’s annual ‘Designs of the Year’ exhibition of 1958. A larger, six-slice version (model no. 42913) of this “New Look” design was also manufactured by Old Hall from 1962. As the leaflet that came in the box with these toast racks noted: “Old Hall Tableware can last a lifetime. All it asks for is a little care” and it is remarkable how original examples of this iconic design often look as box-fresh as on the day of their first purchase, such was the high quality of both their design and manufacture. The Campden range was the first coordinated product line of stainless-steel wares to be designed by Robert Welch for Olde Hall Tableware, and as a group it was quite a departure for the Bloxwich company, being a design-led contemporary line that was pitched not only at the domestic retail market but also at the ever-growing catering sector. Of all the pieces in the range, it is perhaps the two pots and sugar bowl that make up the coffee service that are the most visually distinctive – with their satin-finish tapering bodies, rosewood knobs and side-jutting handles. These stridently contemporary designs epitomized the “New Look” of the 1950s, which reflected an eagerness for more casual ways of living and a desire to look forward rather than backwards. 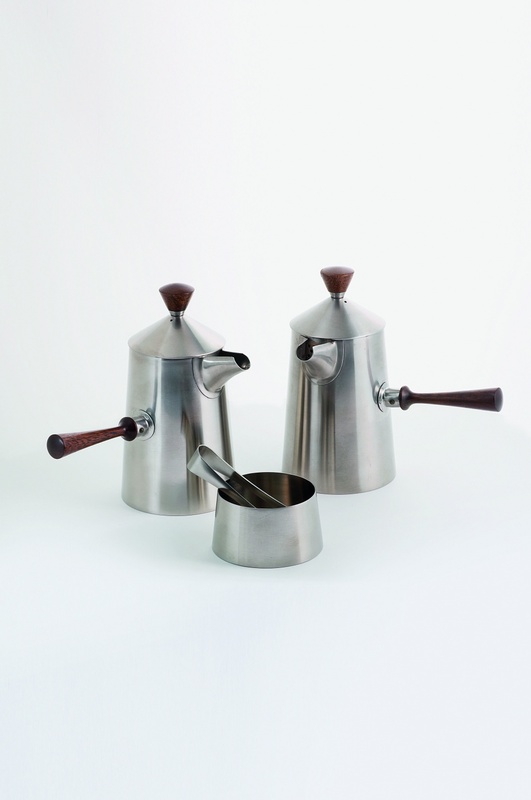 Robert’s designs, based not on the traditional forms of coffee pots found in the West but rather on the shape of coffee pots used in the Middle East, must have seemed rather exotic when they were first launched. Having already designed a number of clocks for the well-known Dumbarton-based manufacturer Westclox, Robert Welch was an obvious choice when it came to the Ministry of Public Building and Works looking for someone to design a new standardised “time-keeping” clock to adorn the walls of its numerous government offices. Designed the same year as his Manager range of wall clocks for Westclox, this government-issue clock similarly employed a plastic casing and a simple metal face. This model, however, was also designed so that it could accommodate different types of mechanism and was produced in two sizes, either 12 or 16 inches in diameter. With its simple dial of spun aluminium, dark green plastic casing and bold graphic lines indicating hours and minutes, it was a veritable tour de force of modern purposeful design. 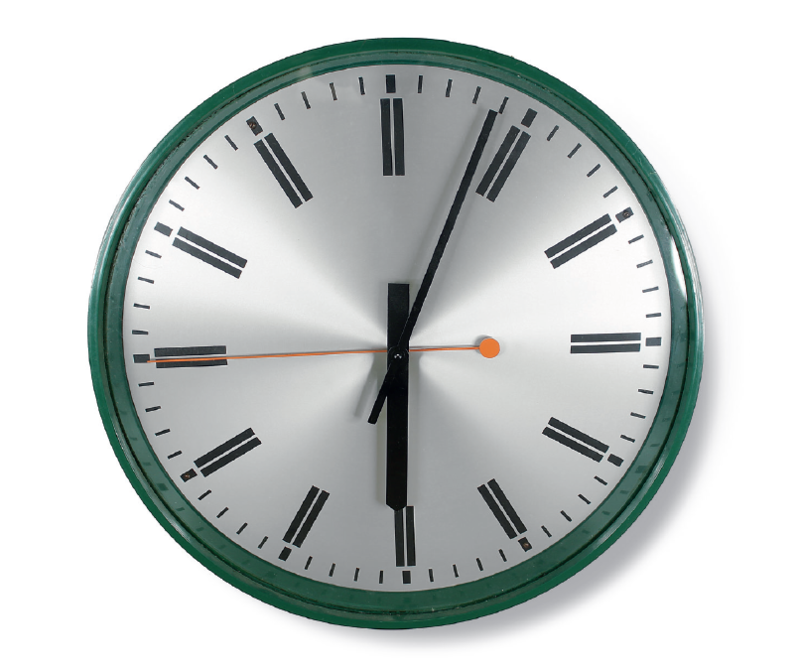 Today, it is difficult to comprehend just how modern this minimalistic design must have seemed when it was first introduced; at that time most British clocks were still highly decorative in design, verging on the fussy, thanks to the fact that even then timepieces still had strong traditional associations with social position and status. Featured in Design magazine in 1969, Robert Welch’s Concord scissors were noted for their ergonomic shape, intended to assist in “the cutting of awkward corners”. 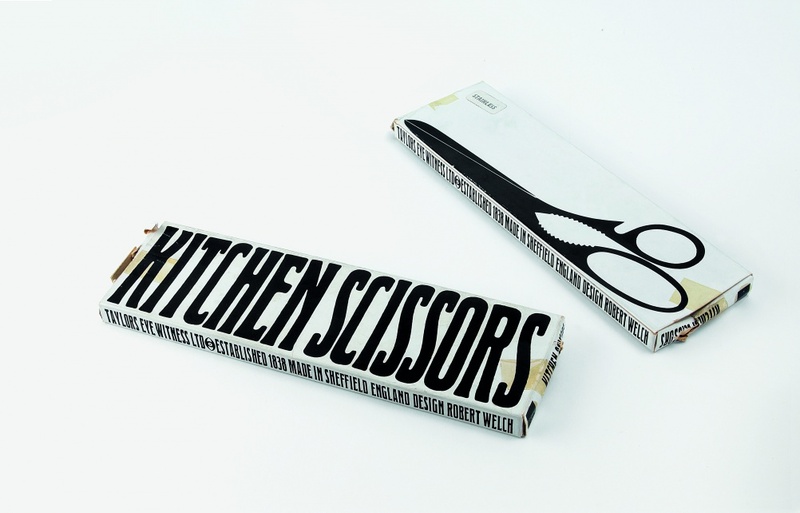 As with so many of Robert’s designs for the home, the contoured form of these kitchen scissors was carefully considered from a functional standpoint with the handles featuring a useful bottle opener. The design also incorporated a toothed gripping section to provide assistance with the opening of difficult bottle and jar lids. While the overall design was made from high-quality and extremely durable chrome-plated carbon steel, the handle sections were stove-enamelled to provide better handling comfort as well as a bright modern aesthetic, and came in a choice of then highly fashionable colours: vibrant mandarin orange, olive green or duck-egg blue. Made by Harrison Fisher and sold under the firm’s Taylor’s Eye Witness brand, the scissors retailed for a democratically affordable 19s 6d – around £12.50 in today’s money – which was, as Design magazine noted, a “steel-plated snip”, especially when one considers that they were designed and made to last a lifetime. Although the Victoria and Albert Museum had not commissioned any silverware since the time of Sir Henry Cole in the late nineteenth century, Roy Strong, having been appointed its new director in 1974, decided that the museum’s permanent silverware collection needed to have more contemporary pieces. To this end, he commissioned Robert Welch to design a pair of silver candelabra. Not really knowing where to start, Robert resorted to walking in the Malvern Hills, where often he found that he was able to think better than when he was surrounded by distractions in the studio. 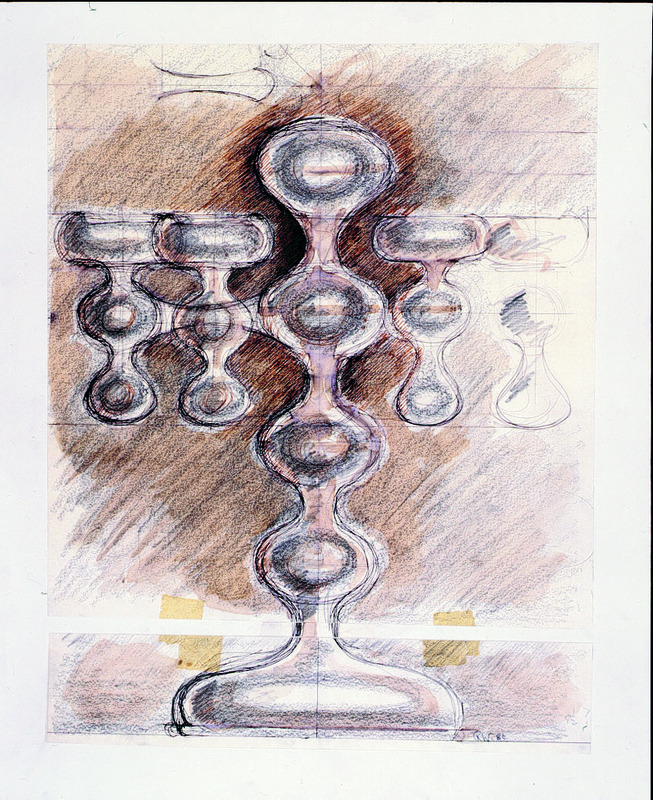 Gradually the design concept of candelabra made up of “round juicy shapes”, similar to those he had used for a presentational coffee service to commemorate St Lucia’s independence in 1979, took form. He then made several tentative sketches based on blobular forms, which he subsequently showed to the keeper and deputy keeper of the V&A’s metalwork department as well as to Strong. To his delight they all chose the design he himself preferred. A three-dimensional wooden model was then made to ensure that the piece would visually work from every angle, and once this had been given approval by the client, John Limbrey executed the two silver candelabra in the workshop. As an added special touch, around the bases of each candlebrum was engraved in Latin the words “I put darkness in flight, rejoice the eyes, crowning the night, R.S. caused me to be made, V&A 1980”. Extraordinarily beautiful, these glistening candelabra fully expressed the magnificent properties of the material from which they were made, while at the same time revitalizing the silversmith’s craft within a modern idiom. Robert Welch, Design: Craft and Industry, is published by Laurence King priced at £30. It is available for pre-order at www.robertwelch.com/book and www.amazon.co.uk. 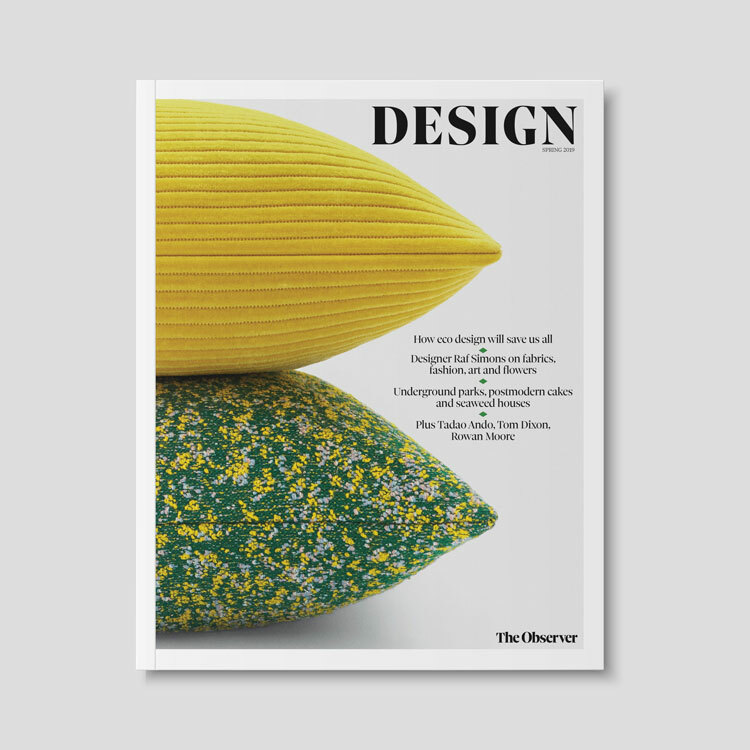 And to think only just last week some numbskull quoted on Design Week’s blog that ‘craft’ was no longer important in design. It is now more important than ever. We’d do well to study masters like Robert Welch RDI.